Traditionally, property and casualty insurers have offered customers liability coverage and property protection coverage in exchange for a premium. Today, however, connected devices empower insurers to leverage real-time data related to the insured (dwelling, vehicle, equipment) to mitigate risk or offer customers loss-prevention measures. Thanks to the interactive touchpoints generated through connected devices, customers and insurers can enjoy more personalized interaction. Insurers and customers are embracing connected devices. 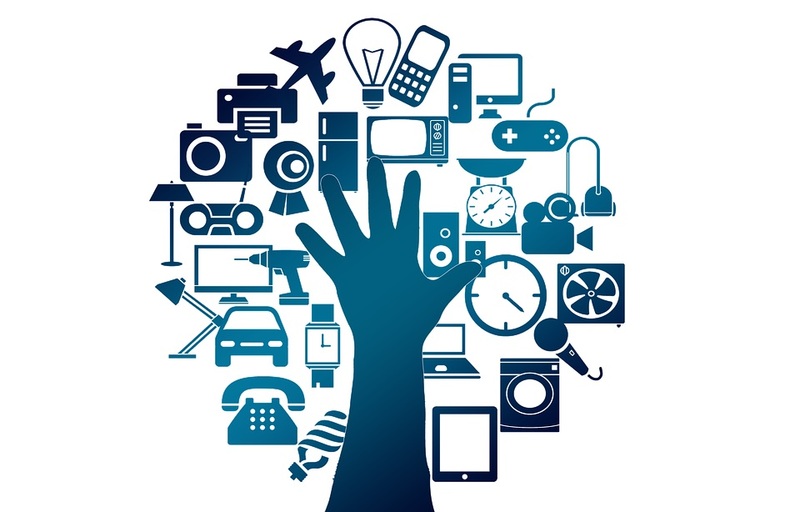 In fact, more than one-third (34.2%) of customers said they are likely to adopt smart ecosystems, and 36.9% of insurers said they want to be among the first-movers in the use of connected devices, according to survey results from the 2016 World Insurance Report from Capgemini and Efma. Moreover, results from the World Insurance Report 2017 indicate that smart ecosystem adoption is becoming a reality, with 50% of insurers polled saying they already invest in connected devices. In fact, the Top 10 Technology Trends in Property and Casualty Insurance: 2018 report noted that more and more P&C insurers are accessing real-time data on customer’s loss exposure through connected technologies ― such as home sensors and telematics devices ― that allow them to intervene at the first sign of danger to prevent or minimize property damage. Insurers use connected devices to gain more accurate risk information via continuous monitoring of the people, things, or property under coverage, which allows for precisely-priced coverage. For example, rates for smart commercial buildings can be determined based on each building’s compliance with safety standards as indicated by electronically-monitored results. Data collected from smart homes offer a wide range of customer behavior and lifestyle analytics and may be used to target personalized offers and risk-mitigation strategies to the most appropriate customers. Real-time access to data from connected devices allows insurers to capture information about claims incident severity, the cause, and the exact time it happened. The result? Claims assessment time is dramatically reduced, and better fraud detection and prevention techniques can be implemented. With support from smart home ecosystems and telematics, P&C insurers can provide value-added services to customers such as discounts on premiums, home monitoring and assistance, and drive-time assistance. A competitive edge, innovative services can help firms to stand out and boost mindshare among customers and potential customers. Above-and-beyond services enhance customer experience through relevant and meaningful engagement. For example, Allstate, one of the largest personal lines insurer in the United States, offers a 25% discount on home insurance premiums if users purchase a Smart Home Monitoring security system. The system features remote access, real-time monitoring, email or text alerts, system function checks, two-way voice control in the event of an emergency, and device automation features. As a part of its Connected Care program, State Farm partnered with Silicon Valley startup Lively to provide senior citizens with a safety watch program and smart home sensors. The system tracks users’ steps, reminds customers to take medication, and offers 24/7 emergency assistance from live operators. By expanding the connected home platform to include products targeted at aging adults, State Farm provides diverse solutions to meet a wide range of customer needs. A mobile app from Florida-based Security First Insurance helps customers to plan for adverse weather conditions. The interactive hurricane tracking feature allows customers to plot their property address on a map and check an active storm’s projected path. It also shares information about Red Cross shelters and evacuation routes. Direct-to-consumer auto and home insurance provider Esurance launched a teen-driver program, DriveSafe, to help parents monitor their teens’ driving behavior through a telematics device. Parents set preferences on a personalized Esurance DriveSafe site where they can opt for customized alerts about unsafe driving behavior and trip details. Home insurance startup, Hippo, provides users with water-leak detection sensors, which enables the company to contact homeowners at the first sign of water damage. Through risk mitigation and loss prevention, insurers can positively affect claims frequency and severity. Value-added services have the potential to improve customer retention and loyalty and spur new business. It goes without saying that connected devices will enhance the profitability of insurers and with so many potential benefits, connected devices are sure to be an integral part of insurance offerings in the future. Also, the World Insurance Report 2018 explores the role of connected devices in enabling insurers to capture real-time data and enhancing digital agility and reveals where the connected devices stand on insurer investment priorities today.